If there’s a more depressing sentence fragment than “not available to players,” I haven’t found it. Most of the time, I intentionally sidestep gear that’s no longer available in game, but this time round Crown of Desolation was too good a fit with the rest of the set to pass up. Besides, y’all were around for the 10th Anniversary Event, right? Oh, who am I kidding. The guilt consumes me. And, Hearthstone players, in celebration of the recent The Grand Tournament expansion release, mosey on over to the Trial of the Grand Crusader and show Anub’arak what for. If you’re lucky, you’ll get Ardent Guard and a lifelong fear of insects to show for it. 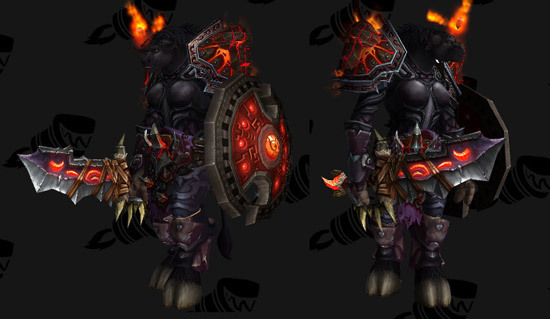 This entry was posted in Black, Death Knights, Paladins, Warriors and tagged horde only by Cathedral. Bookmark the permalink.